PGP is a popular program used to encrypt, decrypt and authenticate data and files. It has been adopted as a common encryption standard for email messages, with implementations in several programs both freely and commercially available. GPG – GNU Privacy Guard is a completely free software that performs the job of the PGP encryption standard on computers, aside its fundamental feature of encrypting your messages it offers a versatile cryptographic key management system and has been ported to support various operating systems platforms and user interfaces. PGP uses a variation of public cryptographic system, this systems essentially means each user has an encryption key that is publicly known and private key that is only known to that user. Message is encrypted to the user with their public key and when they get the message they decrypt it with their private key. A popular tool to accomplish this is Gpg4win – this a graphical implementation of GPG on windows. MacOS and Linux users can visit https://www.gnupg.org/ to download variants of GPG including the command line tool. Visit the link below to download. Note: By default, GPA is not checked. MAKE SURE YOU CHECK GPA! You need it in order to easily encrypt and decrypt messages. Next is to make a PGP key. Remember, none of the details need to be valid. Also make a backup of your key!!! Step 1 – click the keys in the menu at the top. Alternatively, you can click CTRL+N to begin the process of creating a key. You will go through a setup, where you make a name for your key, which I suggest you use an alias. After selecting your alias it asks for an e-mail address. This e-mail should be nonexistent, and be linked to a website that also doesn’t exist. Then you will be asked to make a backup of your key. I highly suggest you do this! Although you can make a backup at any time, you should just do it now. This is where your public key will be that you give to others to contact you. When sharing your key with others, you should copy and paste from the beginning dashes to the end dashes. – First make a blank text file and copy the user’s pubic key to it. – In the Keys menu where you made your key, select import keys. 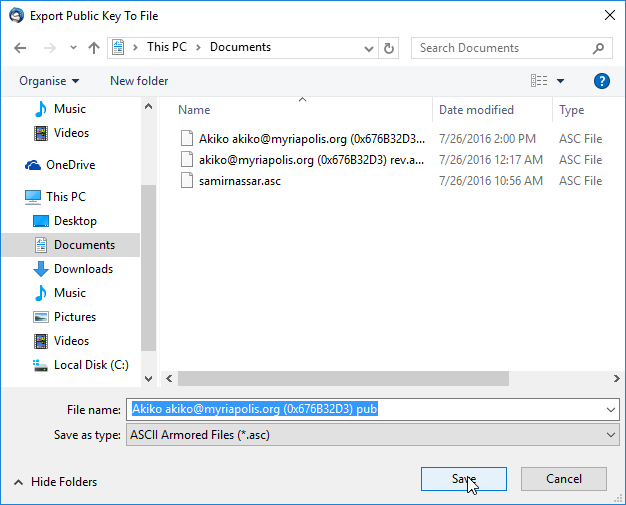 – Select the Text file you saved with the public key in it. Now, To send an encrypted message. First, open the clipboard. You can get there through the Windows menu or through the clipboard icon on the quick bar. Type the message you’d like to send and select encrypt at the top of the clipboard window. When you press encrypt, you are given a menu shown below. In this menu you select what key you’re using to send the message, and what key is going to be receiving the message. I chose to send the fake account used to make this tutorial a message with my personal account. Double click the thunderbird setup file, Open File and proceed till Thunderbird files have completed extraction. The Welcome to the Mozilla Thunderbird Setup Wizard window appears. Click Next to activate the Mozilla Thunderbird – Setup Type window. Click Next at the Choose setup options window. The default setup is Standard. Type in your name, email address and password in the corresponding text fields; click the check box to disable the Remember my password option. Internet Message Access Protocol (IMAP) and Post Office Protocol (POP) are two different methods used to store and receive emails. Email to activate figure 7 in this section, and repeat step 2 to step 4. 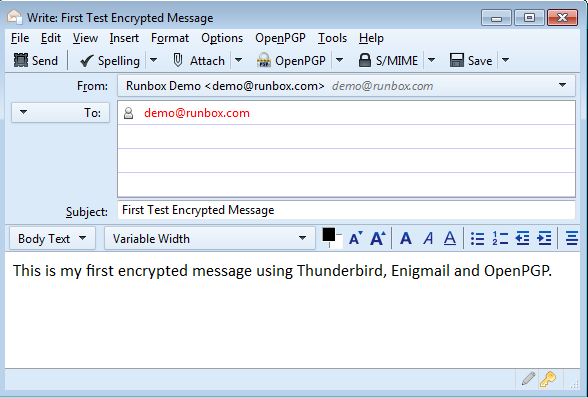 Enigmail is quite different from the Mozilla thunderbird. It comes as a browser add-on that helps you protect the privacy of your email conservations. 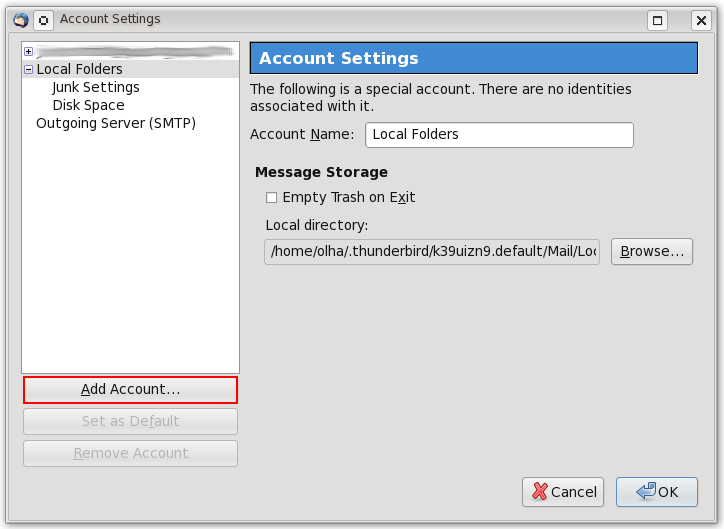 It serves as the interface that allows you use PGP within Thunderbird. Open Thunderbird, then Select Tools > Add-ons to activate the Add-ons window; the Add-ons window will appear with the default Get Add-ons pane enabled. Enter enigmail in the search bar, like below, and click on the search icon. Click on the ‘Add to Thunderbird’ button to start the installation. After installing, you should restart thunderbird. When you’re done , you should see a new option in the menu bar called ‘OpenPGP’. Click on it and go down to ‘Key Management’. A new window would appear. You should select ‘No Thanks, i want to configure things manually’. Click next and then Finish. In the new window, click on generate and New Key Pair. In this window you fix the features for your key pair. ie. user/ account id : the email you want associated with it. passphrase: a generated key or password which you can use to protect your private key, as secure as possible. comments: something that confirms your identity to your friends or colleagues. key expires in: Lets your key automatically expire after a certain time. Set the characteristics of your keypair. Key size: choose the highest 4096 bit. But if you don’t fancy long keys 2048 bit is the the minimum you should choose with an RSA key. Keytype: to harness the big key-size you should choose an RSA key. It’s pretty simple. In the message compose option, there are two new options which can be identified by a pen and key symbol. When the pen is clicked, it turns green. The message will be signed before sending. The right symbol is a key. It also turns green when clicked. The message will be encrypted for the receiver. Enigmail will ask you which key to use, and a list will appear with the keys matching the receivers e-mail address.